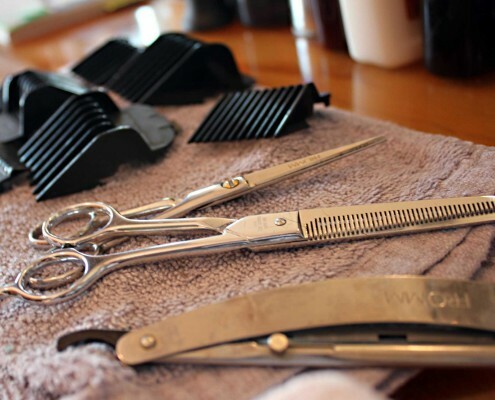 When you come to The Exeter Barber Shop, you can be assured of two things – a warm welcome, and an outstanding service. We put this unfussy and straightforward ethos at the heart of everything we do, from the way we present the shop, to our flexible appointment system. The shop is near the top of Fore Street at the front of the City Arcade, with covered pedestrian access to Market Street car park – perfect for convenience and to avoid the great British weather! The shop itself takes influence from traditional barbers with splashes of contemporary decoration throughout. Dark woods, a comfy leather sofa, antique stalls, low music and pleasing muted pastel greens create an environment that we love to work in, and we hope you will love too.